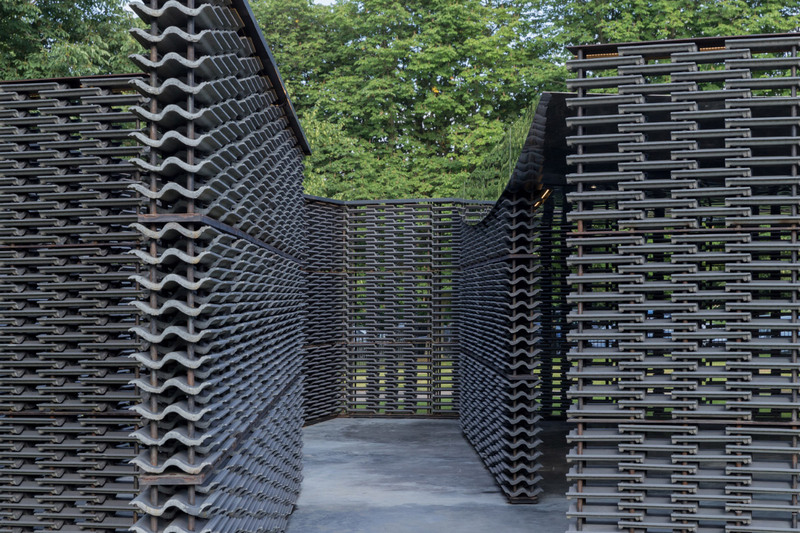 As fall has arrived, 2018’s Serpentine Pavilion in Kensington Gardens, London, has gone. 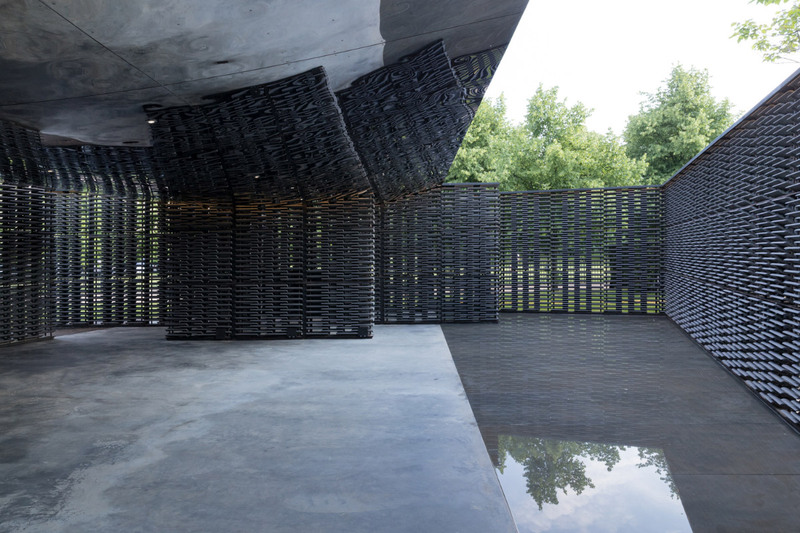 Frida Escobedo’s fusion of British materials with the structure of a Mexican celosia, a traditional breeze wall, drew acclaim when the breezy pavilion first opened, but now the subdued pavilion, which closed yesterday, is set to go on tour. The Architect’s Journal reports that international tech firm, spa company, and green builders the Therme Group has purchased the open-air installation as part of their Therme Art Program. The art program, launched last October at the Frieze Academy Art & Architecture Conference 2017, was established to showcase and maintain large-scale works such as Escobedo’s that cross the boundary between art and architecture. The delicate pavilion, which uses a mirrored canopy, reflecting pool, and perforated walls to track the movement of natural light, will set off for yet-to-be-revealed “selected locations,” according to the Therme Group. Serpentine Pavilions often travel the world once their tenure at the Serpentine Galleries are complete. BIG’s “unzipped wall” from 2016 has landed in Toronto at the time of writing and will eventually make its way to Vancouver, and Zaha Hadid’s tent from the exhibition’s first year in 2000 has become a popular Instagram spot and wedding venue in Flambards Theme Park in Helston, Cornwall, U.K.